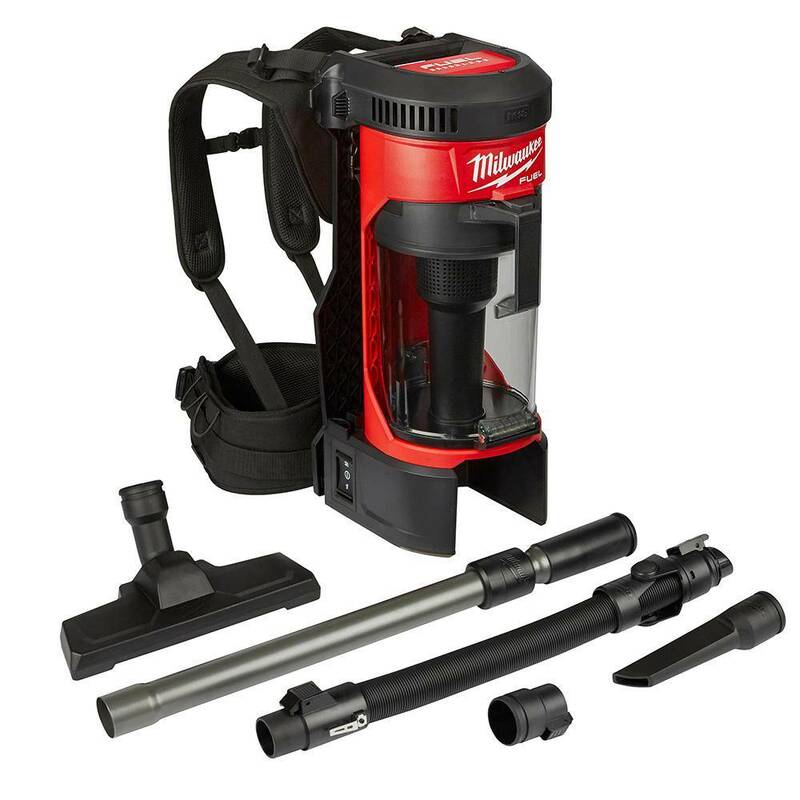 Whether taking on spot, area, or final cleanups, the Milwaukee M18™ FUEL™ 3-in-1 Backpack Vacuum brings unmatched cordless performance, portability, and versatility to the jobsite. The POWERSTATE™ Brushless Motor and cyclonic design deliver up to 2X more suction power than traditional jobsite vacs, allowing users to efficiently tackle common jobsite debris like drywall dust, concrete dust, and wood/metal shavings. A removable harness, integrated canister hook and handle allow users to wear, hang, and carry the product for ultimate adaptability. Standard accessories include a flexible hose, telescoping extension wand, floor tool, crevice tool, HEPA filter, and dust extraction adapter. At only 76 dB(A), the vacuum is up to 3X quieter than traditional vacs, providing comfortable operation on any jobsite, including occupied spaces.